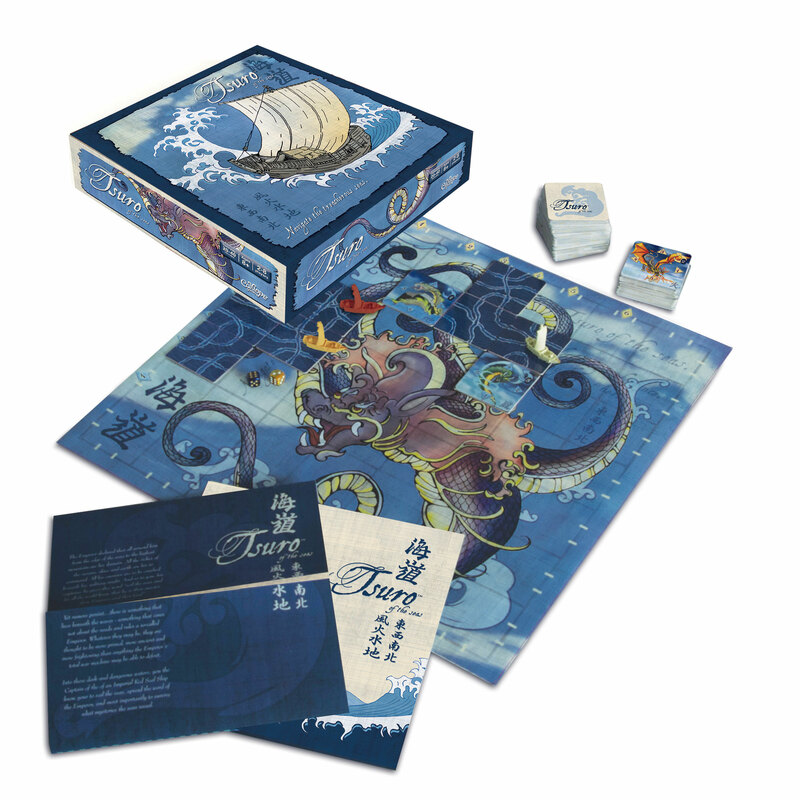 Calliope Games has just announced this Kickstarter for a beautiful new version of the game Tsuro which was introduced back in 2004. In this new version, you’re captain of an Imperial Red Seal ship. Your mission is to spread the word of the Emperor, avoiding monsters and staying on the board. This tile-based game is simple to play, yet requires strategy and critical thinking to make sure that your ship stays on the board while forcing other players off the edge. Depending on your donation, you’ve got the chance to earn some serious swag including artwork and even a chance at tickets to GenCon this August to attend the game’s launch party. You can see all the details, including a video with Calliope Games owner Ray Wehrs over at their kickstarter page.